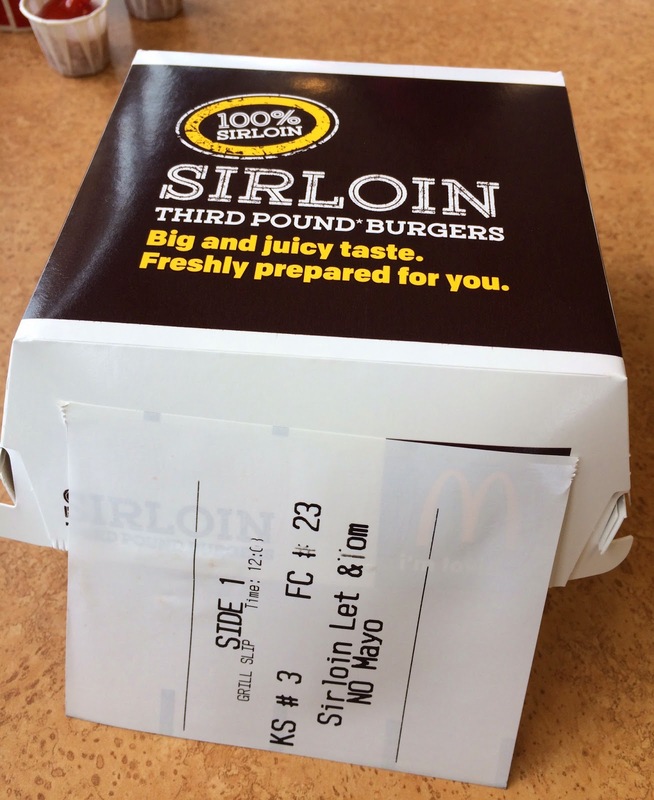 I had the last Sirloin Third Pound Burger "Lettuce & Tomato" today from McDonald's. Other 2 burgers I had were Steakhouse and Bacon & Cheese, so I could complete all the 3 kinds before it's gone thanks to Burger Lad's post. 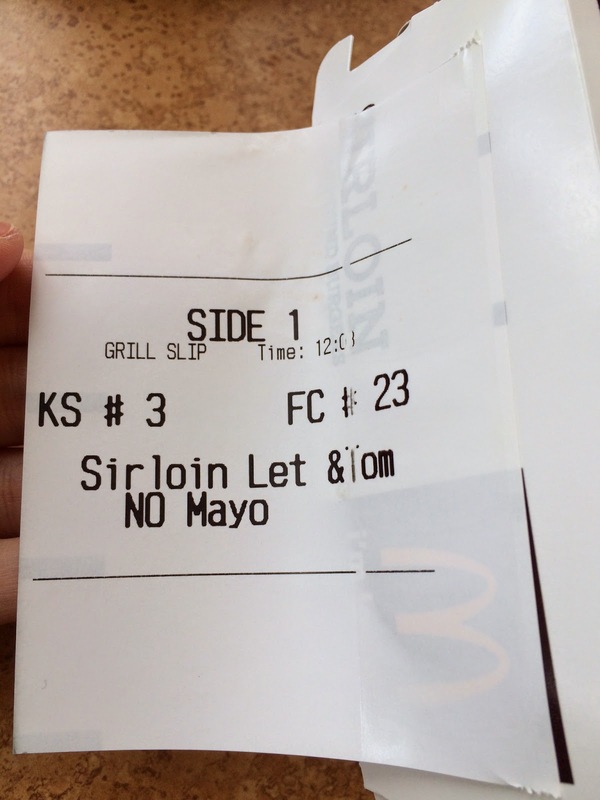 Lettuce & Tomato contains mayonnaise, so we asked for no mayo. It came with a paper wrap like Bacon & Cheese. 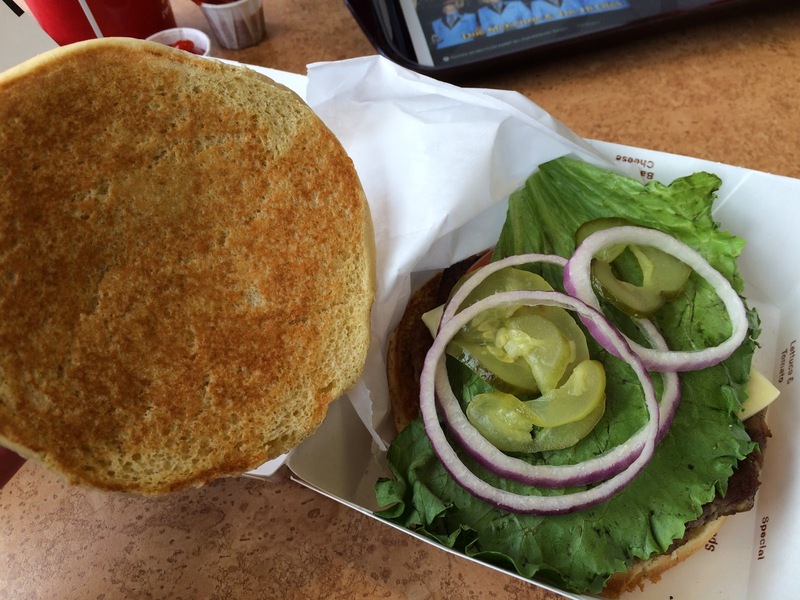 Somehow, they took out mustard, too, so basically there's no sauce whatsoever. 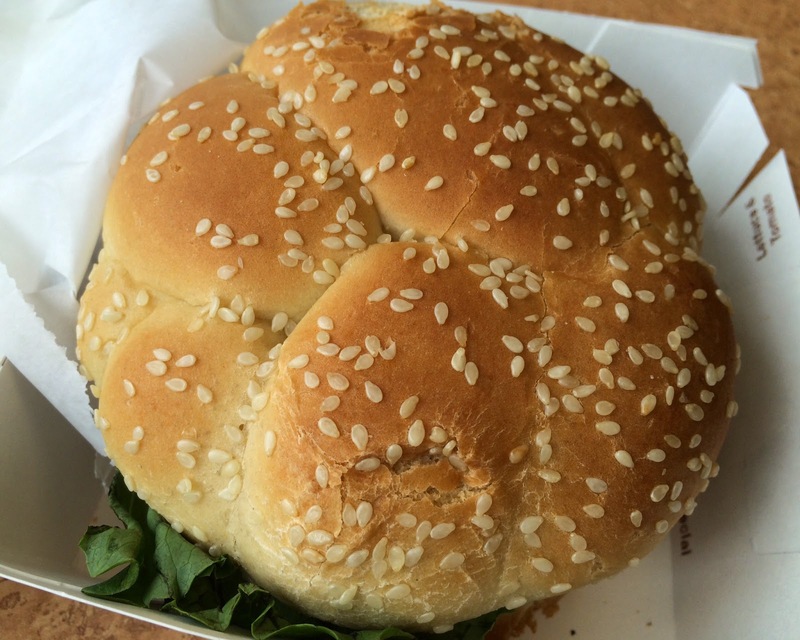 Underneath the upper bun, there're red onions, pickles, lettuce, tomato and white cheddar cheese. 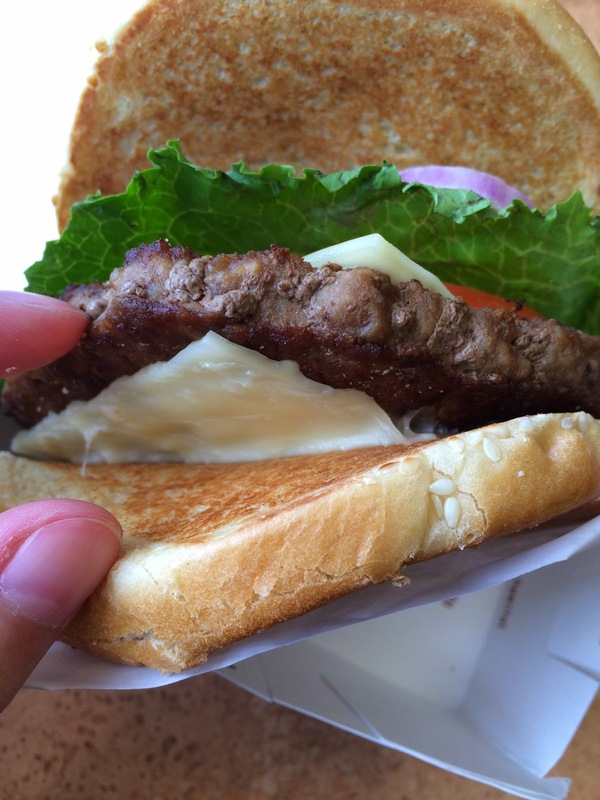 Underneath the patty, there's another slice of white cheddar cheese. I had it without any sauce, and needless to say, this burger was the best way to enjoy the flavorful patty among 3 sirloin burgers. Steakhouse had sauce, sauteed onions and mushrooms and Bacon & Cheese had salty and crispy bacons, and each burger had different characters. 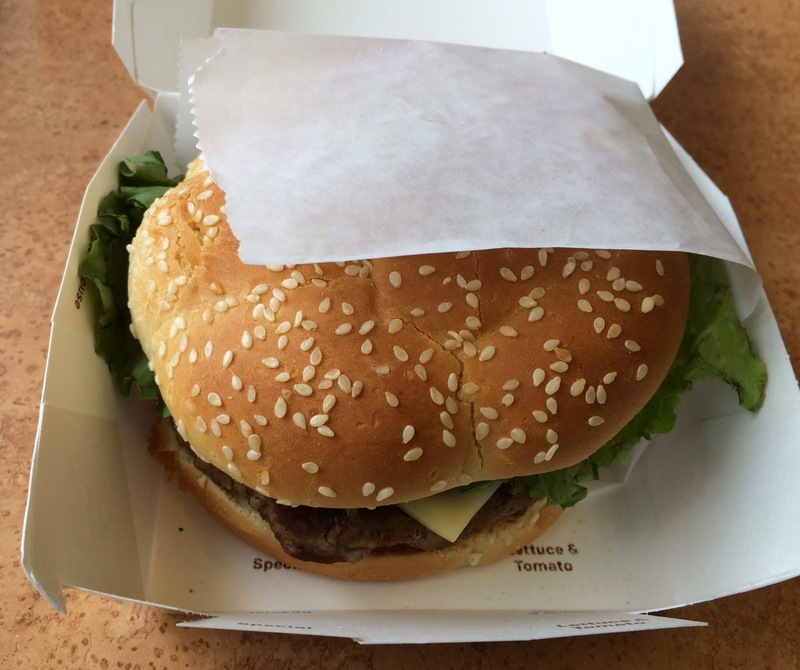 If you like rich burger, Steakhouse is the best, if you like bacons, Bacon & Cheese will do, and if you like some plain burger, this Lettuce & Tomato can satisfy you. 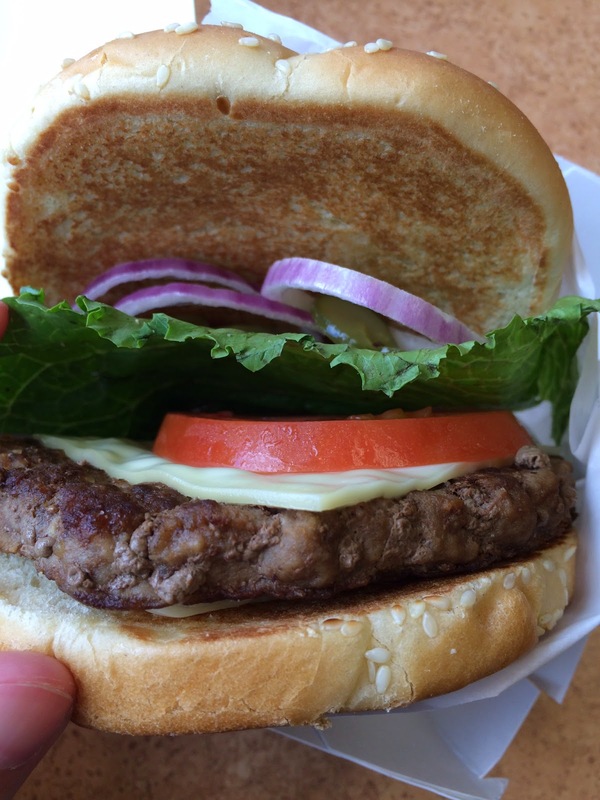 I think these burgers can be chosen by your mood.